Sometimes when winter seems to last forever, you just need a little dab of color. Sometimes you need a whole vest of color! 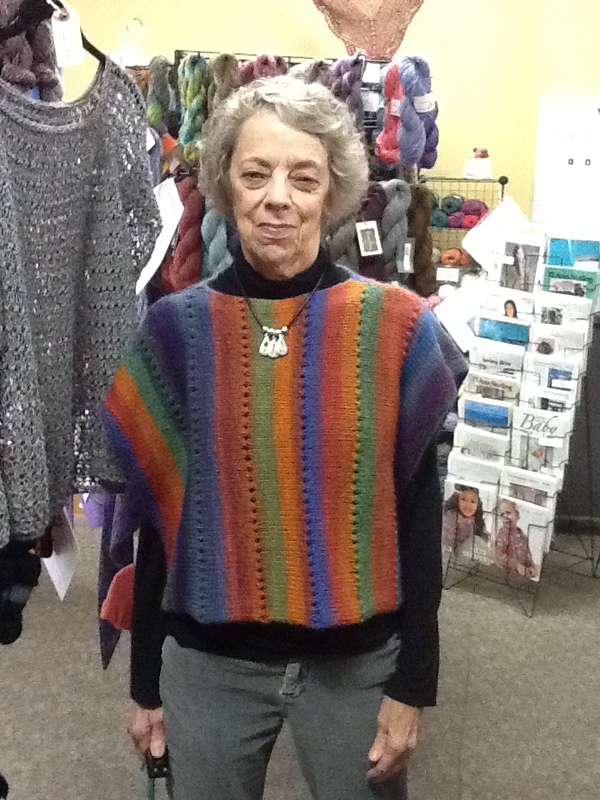 Recently Susan Paine dropped by Yarns Sold and Told to show us her “Side to Side” vest she had created with Gina yarn. This 100% wool yarn comes in a array of gorgeous colors. This vest is a quick and easy but fun project. It was be an excellent choice for a first garment.